Volunteers were kept busy when they arrived at Ellon’s Castle Gardens to help out with gardening work last Saturday. Around 18 volunteers arrived at the gardens to lend a hand with basic gardening jobs and to tidy up the historic site. The Ellon Castle Gardens Trust took over the site earlier this year and are currently busy restoring the gardens to their former glory following more than 30 years of neglect. 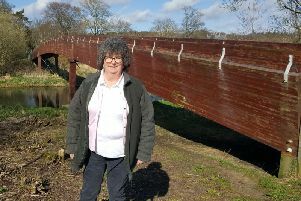 Commenting on their efforts, chairman of the Trust, Alan Cameron, told th eTimes: “The volunteer day went very well and we got a lot of work done. “It was pretty hard work. Some people went home for lunch but then they came back which is a good sign. The Trust will host their first open day this Saturday and guided tours will run from 10am to 3.30pm.